Before you go straight to our highly researched top picks of best cat litter available in the market today, make sure you read our informative, up-to-date and easy-to-follow guidelines first to ensure you choose the most appropriate litter for your four-legged friends as they have different needs and preferences, too. Yes, our little fellas have their own preferences, and let us help you in your intercommunication to make both parties happy and fully satisfied here. We’ve added individual favorites for each type followed by some in-depth guidance and valid HM tips. We highly recommend you to go through this information and then return to the overall selection of world’s best cat litter. Which type of cat litter to choose? There are several types of cat litter that vary in their structure, scent, effect, odor control, and obviously – price. One is more suitable for certain cats (and preferable to their owners) than others. Let us focus on all the main criteria when it comes to picking the right type. Click on the specific type of cat litter in the table to go straight to our full description of the specific type’s advantages and disadvantages, suitability to your cat, and then learn our final suggestions to choose the best litter for your dear friend’s felicity. Let us now go into detail for each type of litter and particular products available now on the market. Biodegradable litter can have different substances, ranging from corn, wheat, grass and dried wood to walnut shells and recycled newspaper. Their popularity and appreciation worldwide are only increasing. You can find non-clumping, as well as some clumping biodegradable cat litter out there. HM tip: Go for biodegradable cat litter if you have a kitten who isn’t very used to something else already. Although it’s not guaranteed, you might persuade your older cat to go from other types to this organic one, too. Yet, it would also be no wonder if your lovely companion embraced this new form of litter just us welcoming, if not better. After all, different cats have different tastes, and some are more adaptable than others, just as we humans are. Also, consider this the best litter for cats with respiratory issues. This non-clumping organic cat litter is made of recycled paper. It’s soft, meaning, gentle on cat’s paws, and unscented, therefore, just what cats love. It’s almost dust-free (not 100%, but you won’t find something similar that is). Also, Purina Yesterday’s News Unscented Cat Litter is very absorbent with effective urine odor control, and the pellets don’t get tracked by cat throughout the house. As it’s non-clumping, you have to expect to change the litter box more often than its clumping counterparts (remember, clumping means more convenient cleaning but also more dust and, usually, more tracking). In our opinion, Purina Yesterday’s News Unscented Cat Litter is the best value for price in biodegradable cat litter category. There’s a solid reason why many veterinarians recommend this product. Just like previous one, World’s Best Cat Litter, Clumping Formula is “the new generation” organic cat litter that is unscented but really effective at odor control and rather dust-free. The main ingredient for World’s Best Cat Litter, Clumping Formula is whole-kernel corn (therefore, some warn to keep the litter in a closed container as it might attract mice). The other unique difference from our first pick is its clumping ability – therefore, easier to clean. The manufacturers claim it’s kitten-safe (over 8 weeks old), however, because of the clumping, we’d recommend waiting a bit longer, even though this is definitely less harmless if it finds a way to your kitten’s stomach than, let’s say, some crystal litter. This product might look somewhat expensive at first, but it’s a smart investment in a long-run as it’s a quality product that lasts longer – this biodegradable cat litter will require less frequent litter box changes. You might also want to look at other similar litter from this brand as they do some variations. This eco-friendly cat litter is made of recycled paper and falls under non-clumping sub-category. Note that it’s also unscented. Again, it’s not the cheapest one out there but gets your money worth – it really has a great absorbing strength and low tracking. The product has rather large pellets and is safe for kittens and cats with respiratory issues. As Fresh News Post Consumer Paper Pellet Cat Litter is not clumping, it will require more frequent cleaning than our 2nd pick, but if that’s not a major issue for your household, consider this magnificent offer. Quite the opposite of biodegradable litter in almost every way. They are fine-grained, and the most popular ones, but it’s the owner’s pocket making the decision here in most cases, as they usually are less expensive than their counterparts. Now, by no means, we’re trying to dis the popular choice (after all, it wouldn’t be the most popular choice if the arguments over sodium bentonite were true (a chemical used for clumping that allegedly can have an effect on cat’s health… which isn’t proven at all). Just bear in mind those two points, and take a look at our picks for the best clumping clay litter. Additionally, you can try adding some baby powder to the clumping litter, so that it doesn’t stick to cat’s paws and fur (especially for the long-haired cat breeds), just note that it will increase the dust level. There are plenty of reasons why this product is so popular and, mostly, highly praised by many customers: it’s effective at odor control, it’s affordable, its clumping formula works great and, unlike most cat litters under this category, it’s also relatively (for this type of litter) dust-free and low in tracking (but as we explain in our HM tip under clumping clay litter pros and cons table, you can try adding some baby powder to minimize the tracking). 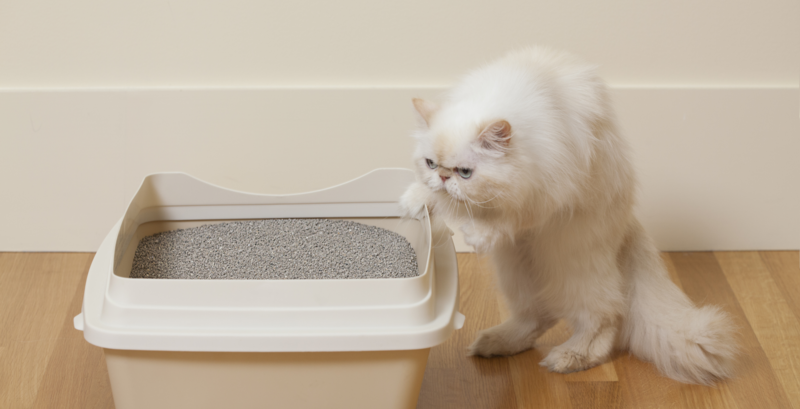 This cat litter successfully prevents moisture from reaching the bottom of the litter box. 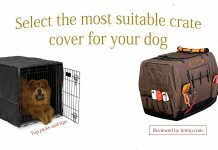 It also might be the best choice for multiple cat households, as it clumps so well and you have to change it less often. Unless you have a small kitten or a cat with respiratory problems (in which case you should stay away from any clumping clay litter), consider this one as one of the best overall cat litters in the market today. Period. This really is a premium quality cat litter, which also means a certain price, but it also lasts longer than most clumping clay litters, therefore, it’s a smart long-term investment. It clumps hard and right away on the surface of the litter, and claims to be 99,9% dust-free (note that no clumping litter made from clay can really match these numbers, but this one truly is as good as it gets). It’s soft on cat’s paws and is unscented – just what cats love. It scoops well, stays very clean throughout the use, is relatively low in tracking, and the odor control is fine as well. No wonder Boxiecat Premium Clumping Clay Cat Litter won “Cat Fancy 2012 Editors’ Choice Award” and is highly praised by veterinarians. Just like most products we review here, this one is unscented (cats’ favorite), and just like the other clumping litter in this article, this one clumps really well. This Ever Clean product is of fine texture, easy to scoop and lasts really long, which makes up for its above-average price. The odor control should also satisfy you. It’s not the lowest in tracking, but, again, you might consider some baby powder. As a high quality clumping clay litter, it’s comparatively dust-free which isn’t something typical of this type of litter in general. Silica gel, also known as crystal cat litter, is once again something very different from the previous type of litter. It does NOT clump but has different advantages that overthrow other litters and foster this type’s dominance. HM tip: Consider this an excellent choice for an elderly with a cat who’s also been around for quite a while. In all seriousness, it’s good because it’s very light, therefore, easy to carry, and with some daily scooping you can expect to change the entire box only every 2-4 weeks. As it states, the product is especially suitable for long haired cats – it won’t stick to cat’s fur or color it. Obviously, the crystals do not clump but are easy to clean. Precious Cat Dr. Elsey’s Long Haired Cat Litter is unscented and effective at absorbing the urine and controlling the odor. The dust level is also low (which is expected of crystal litter), the product lasts quite long and the litter box has to be changed entirely less often (again, kind of automatically expected of this type of litter). Note that this products color change (after use) doesn’t affect the performance right away. It offers a reasonable price considering that the 8 lb product lasts for approximately 2 months for 1 cat. Another fabulous option if crystal cat litter is what you’re going for. Consider this as one the best cat litter for the elderly with multi-cat households – it’s very light in weight, easy to clean and has fine odor control. It’s also low in tracking, whereas the ”99% dust-free” note might be an exaggeration. Yet, overall, this truly is a solid product for a reasonable price. Now, here’s something very different and unusual to crystal litter in general – it’s clumping. At the same time, it doesn’t produce a lot of dust (which is expected of silica gel but this one clumps!). The small particles (crystals) are easy on cat’s paws. This product is scented which isn’t something we’d normally recommend, but you might give this one a shot. Anyhow, this really is a unique product within the category, and we thought it’s worth checking out at least. With regular removal of solid waste and scooping, you can expect to change the entire box once every 20 to 30 days. And now we descend back to the roots of commercial cat litter… Back in the 1940s and ’50s, non-clumping clay litters started dominating previously known alternatives of sand and ashes. It was at the peak of popularity until the introduction of its clumping clay cousin. HM tip: This type has gone downfall for good reasons, YET, it doesn’t mean it cannot be used under right circumstances. 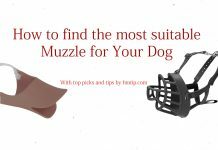 Consider going for this product if someone at your household is willing to deal with this matter regularly, your cat is fully satisfied with the feel, and you feel or fear no odor trouble. Quite easily our pick No. 1 for this category is Purina Tidy Cats 24/7 Performance Non-Clumping Cat Litter. It’s a natural clay product with an effective deodorizing system. It’s low in tracking and produce less dust than almost any other clay litter available in the market. Consider this the best clay litter for kittens. It might not be the easiest to clean but none of the non-clumping clay-based litters are, so, if that doesn’t bother you that much – go for it! Here’s another quality product from Fresh Step. It traps the odors really well compared to other clay-based litters. One downfall is its price compared to other products in this category, but if that’s not too much of a problem for you, consider this one of the very best non-clumping clay litter in every regard. Just like our pick No. 1, here’s another solid product for a decent price from Purina, and, frankly, it’s quite similar in every quality check regard, so, really a matter of preference. It’s formulated for multi-cat households. Just expect to do the cleaning regularly, and you’ll be perfectly fine. Decision-making time: Which cat litter should I choose? Now that you know chalk from cheese, it’s time to decide on which cat litter to settle. First, know your cat’s age. Rather obvious, huh? Exclude all litter that is not appropriate for kittens up to 3-4 months old, thus narrowing the list for best kitty litter. Secondly, find out if your loyal friend has any respiratory issues and narrow the list again. Third, determine how often you can/want to change the litter; consider your personal time and age/health as well. The price… Do not be fooled by numbers alone. Think ahead by choosing a quality product. Remember, some type of litter might be more expensive but serve longer. Last, but not least, take into account your cat’s preferences. Look at how your fella reacts to a particular litter. But give it a time. Not everything’s accepted on the spot. A lot of brands make flavored litters. Although you yourself might be delighted to see “lavender flavor” or something added to the package, bear in mind that cat’s personal favorite scent is his own. No fancy flavors. Also, it’s important to understand that a lot of illness for household cats is caused by stress. One of these factors is appropriate litter. And appropriate space. It’s still an intimate process for our pets, and cats prefer doing that in an enclosed room, meaning, he or she prefers a box as a house, not an open sandbox. Just make sure there’s enough space, consider your companion’s size. By choosing an enclosed litter box house, you’ll also save some cleanup trouble for yourself.